Victoria – vote below the line! 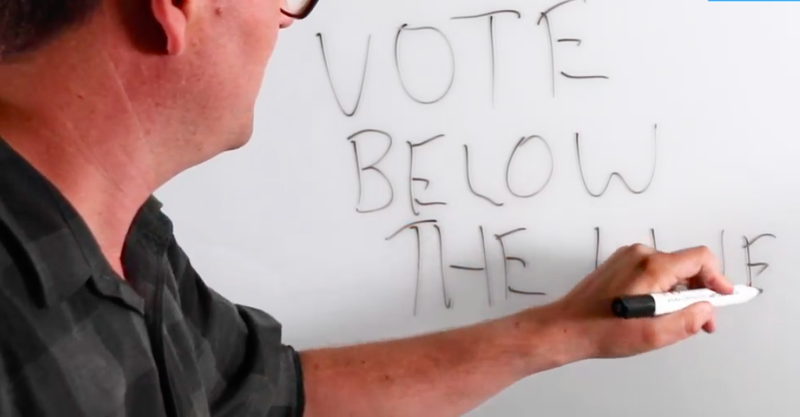 I’ve done a video for my day job explaining to voters how they can vote below the line to avoid the risks of electing someone they don’t support, which could happen if they vote above the line. I’m not the only analyst to make this point, but it’s worth emphasising that it’s quite easy to vote below the line in the Victorian upper house (unlike for the old Senate voting system) and that is the best way to opt out of the dodgy group voting ticket system. Just number at least five preferences below the line to make your vote count. There’s no need to number every box, indeed I’d argue it’s preferable to let your vote exhaust instead of it ending up with a party who you know nothing about.There’s more stuff you can read and listen to about the Victorian upper house election. Antony Green’s advice on how to use your vote is excellent as usual. Tom Clement has produced an analysis predicting how likely each party is to win a seat based on their primary vote for four out of eight regions (with the rest to come). I’ll be back with one more blog post on Saturday morning. Good post. Preferences are a great part of our voting system, backroom deals that funnel them to a million different micro parties are not. Don’t let these people game the system. Decide for yourself where your vote goes! There is no reason to retain above the line voting in Victoria now for the Legislative Council (so called Upper House) now that voters do not have to number every candidate below the line anymore but only 5 or more candidates as they so chooses. I would like to see above the line voting in federal elections discontinued too with voters voting at least for the number of Senator seats available in each election, which is 6 per state I understand, or all 12 seats per state in a double dissolution election. Good onya Ben. I hope more people than ever vote below the line – it’ll be interesting if federal senate voting changes affects the rate of below the line voting in this state election. Unfortunately Parliamentary arepresentative is the worst system of government in world excepting all the rest. Adrian, there is still value in above-the-line voting because it allows you to express a larger number of preferences relatively easily. Ultimately I’m a fan of Hare-Clark and would prefer to move to such a system that breaks the parties’ hold, but as long as candidates are numbered in party order above the line voting (no GVTs) makes it easy for people to make sure their preferences flow. Andrew, I have been on many polling booths and in my experience most voters take it seriously and keep to themselves. The example of Tasmania, the ACT and the Senate shows that if people have experience with the system they are perfectly capable of marking their own preferences. Not surprising you can find six stories from decades of booths. Andrew Jackson I agree, who could forget those booth workers that were supposed to be representing Glen Lazarus in 2016. “smokers” party or the push bike party then one has to worry. Maybe we should have run for the Wally Lewis party in Queensland and we’d all be in power. Tony Yes Lazarus’s lot made PHON look professional. They were predominantly in trained thugs. I rarely criticise party volunteers all are conscientious individuals who spend from 2 hours to 100 hours manning a booth because they think the candidate’s election will benefit society. My recommendation for tomorrow is thank all the volunteers and either take all HTV s or take none. Hope you all have a good day. I will think of you all whilst sitting in air conditioning in Qld. My vote would be Country Party DLP or Aussie Battler depending on individual candidate. I hope all 3 middle way candidates win Council seats and who ever is elected has to negotiate to pass legislation. Will be better if Lower house has a minority govt with Third Way candidates having final say on legislation stopping ALP and Liberal extremism. Hey Ben, I’ve shared your video on Facebook. You say you’d argue that it’s better to let your vote exhaust than go to a party you know nothing about. Would you say it’s better to number all boxes including the parties you dislike, in order to rank those from least worst to worst, or stop before you get to parties you dislike?